Let me set up your guitar or bass to play the best it possibly can! 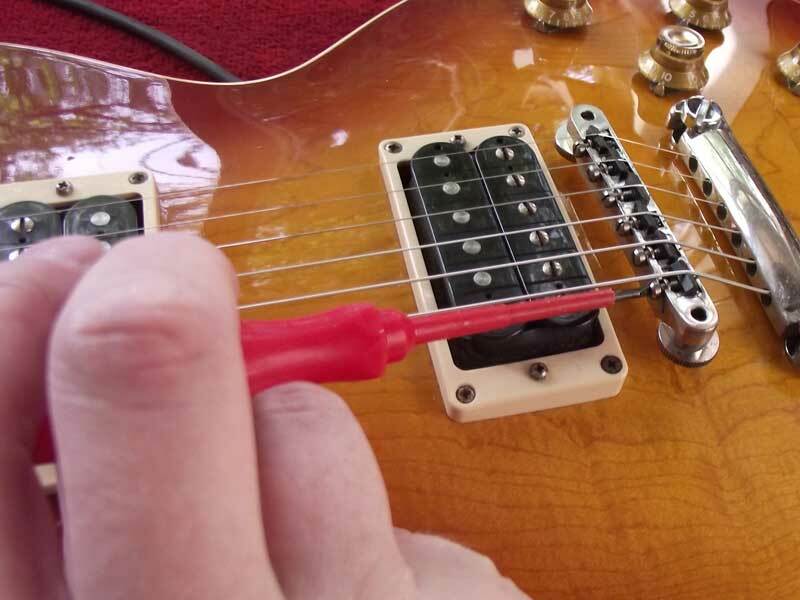 A fret dress is often recommended to get the lowest, buzz-free action and if a fret dress is required this will be performed for an additional charge after consultation with the owner. Well it depends on your guitar but expect to pay between £40 and £50 plus the cost of the strings. 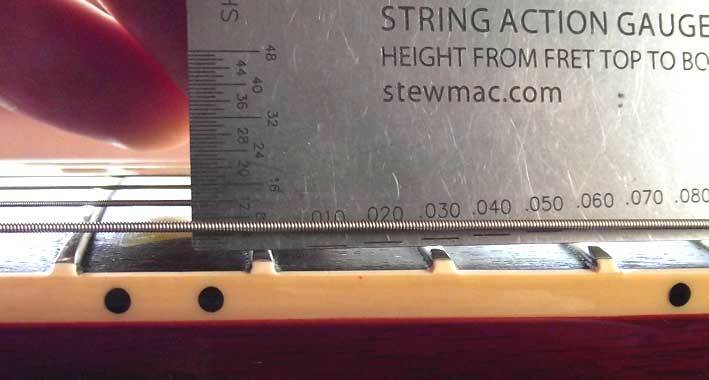 If a fret dress (level and re-crown) is required, it’s normally around an additional £25. I purchased a Fender Strat after it fell from a wall in PMT in Salford after I had tried it out in store, I didn’t replace it properly and the damage was my fault. The staff at PMT were amazing and refused my offer to pay for any repairs, in the end I bought it knowing that it needed to have a proper set up. I took it to Steve after finding him online, I suggested changing the pickups, tuners etc to make the guitar better. He told me it wasn’t needed and that it just required a set up, I asked him to attend to the damage on the body caused by the fall and left. A week later, I returned and found the damage fixed seamlessly! and the guitar playing and sounding incredible, to the point I cannot put it down! Steve charged me next to nothing yet made a massive difference and totally rescued me from an awful disaster. If Jesus took up the guitar? he would take it to Steve to improve it. Having purchased a brand new Strat I wanted to get it set up correctly. I found Steve’s website and after reading about the services he provides I decided to contact him. It turned out to be the best £50 I’ve ever spent. A full set up, rectify a slight problem with the trem and a new set of strings. It now plays like a dream. Steve provides a first class service at a great price and he is such a nice guy as well. I thouroughly recommend Steve to anyone. The examples of his craftsmanship are superb! Steve’s extremely high level of workmanship ensures the very best sound and playability my new guitar is how it should have been when I took delivery. Nice re dressed frets, perfect action without fret buzz, intonation is faultless, and my nice new guitar was treated with absolute care and respect by Steve, not a mark on it. It now plays in a way it didn’t before, a joy to play. Picked up my PRS from Steve today. As always, impeccable work! New nut, bridge refloated and a set up and it is faultless. I’ve had my USA Strat set up with new electrics also fitted by Steve and it has never let me down once whilst gigging (and never drops out of tune with the floating bridge)! I took a Chinese Epiphone Casino to Steve after buying it and finding it to not be the best piece of stringed wood I’ve held. Steve fitted a new nut, dressed the frets, and set it up and it also sings! I honestly can’t fault him. 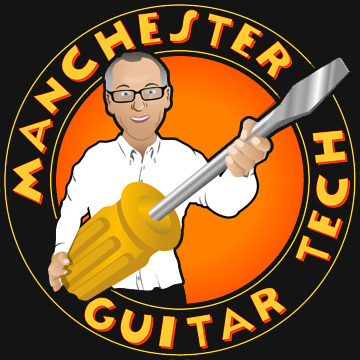 If you’re considering who to trust with your guitar, and want peace of mind that it will come back as you want it to, then Steve is your man.